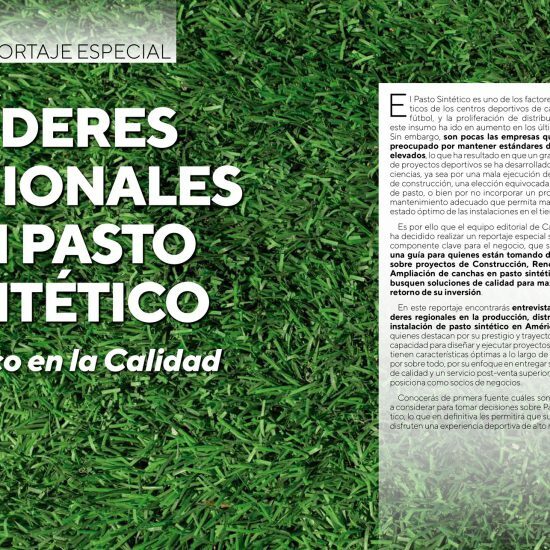 Posted at 15:35h in Sin categoría	by	Anv_euro. 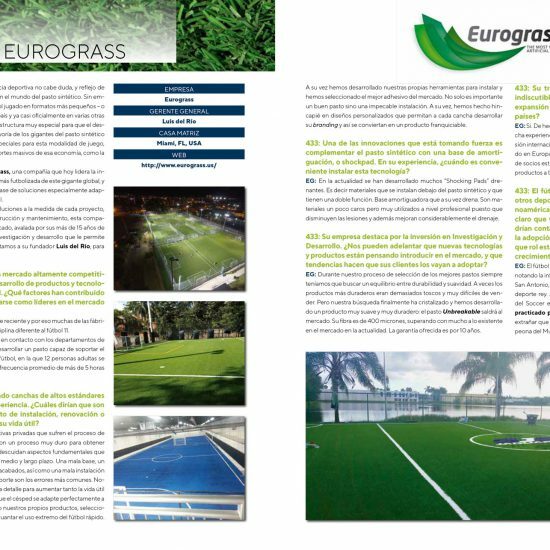 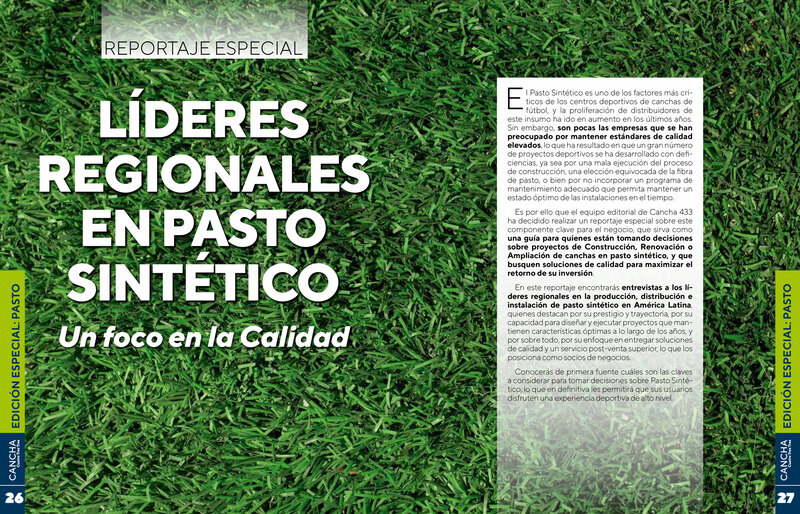 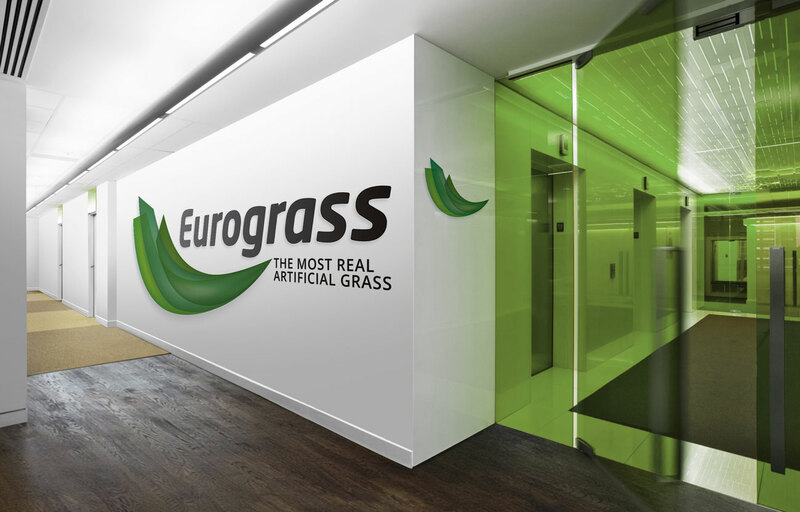 Recently, Luis del Rio, Director of Eurograss, has been interviewed by the Chilean magazine 433. 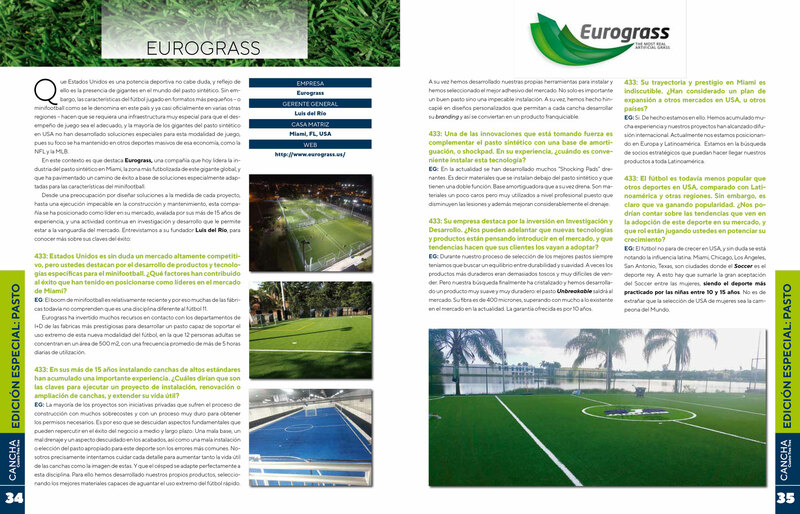  One of the most prestigious magazines in Latin America specializing in Soccer 5 fields and indoor courts.